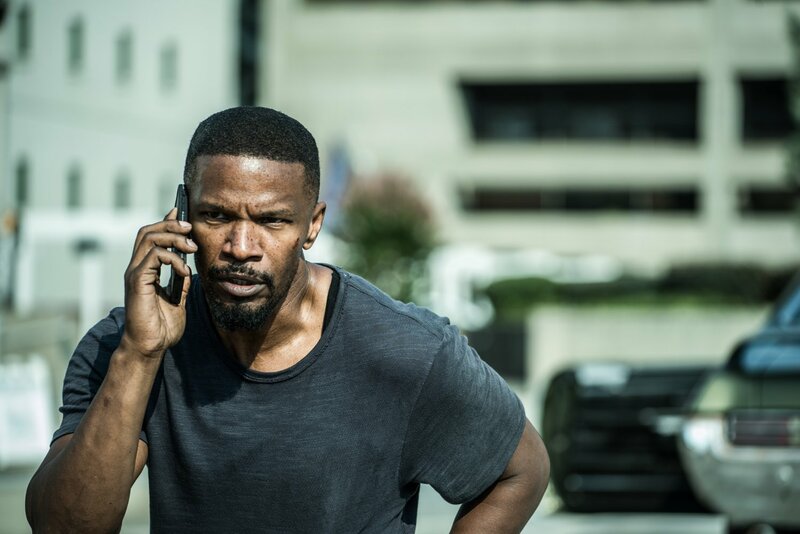 Before you even think about paying to see Sleepless – be it at regular ticket price or for a discounted matinée – I strongly urge you to first spend a buck elsewhere. The film’s 2011 French inspiration Sleepless Night is available to rent on Amazon for a mere $0.99. As an advocate of seeing a story on the big screen, in a theater, and with a crowd, that suggestion alone troubles me. But that foreign film is a tremendous watch, and one that can just as easily be enjoyed from the comfort of your couch. See it so that you can find justification in skipping Sleepless, a defiantly obtuse and mindless movie leading the early charge for one of the new year’s worst pictures. It’s a one-lane, dead-end type of empty tank ride. Sleepless starts with a flashbang, rousing our attention with no real harm or threat posed off the tee-ball bat. 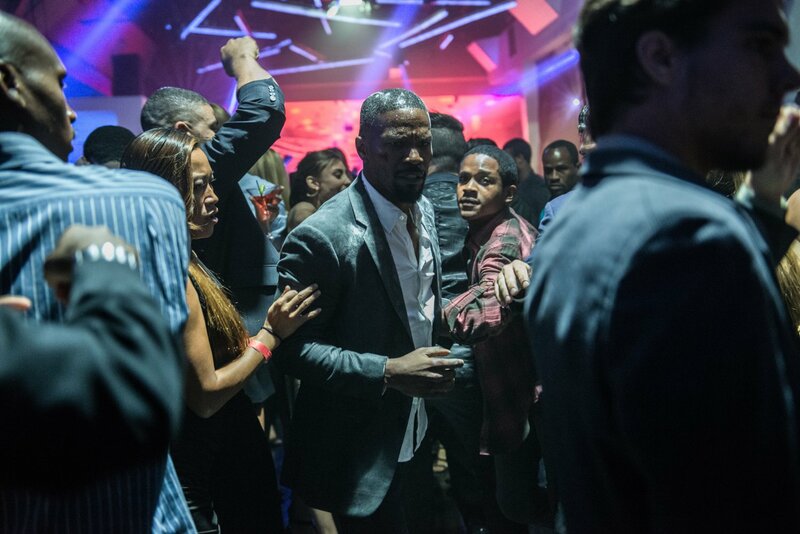 It involves Las Vegas officer Vincent Downs (Jamie Foxx) and his longtime partner Cass (T.I.) as dirty cops, executing an armed robbery to steal a large shipment of cocaine. People die, they narrowly escape, and the next day the two volunteer to investigate the case. In on the action are Internal Affairs investigators Jennifer Bryant (Michelle Monaghan) and Doug Dennison (David Harbour), convinced that crooked cops are behind the stick ’em up. 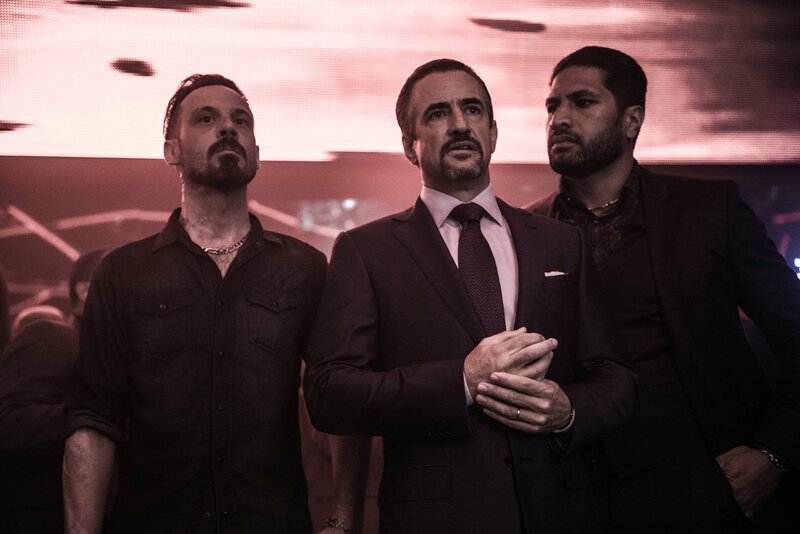 The rightful owners of the drugs come into play at a gambling spot with even more people involved, such as hotel manager Stanley Rubino (Dermot Mulroney) and his affiliation with crime boss Rob Novak (Scoot McNairy). Sleepless piles on the putrid plot like a farmer shoveling manure, and not one of the story lines contains a drop of blood or an ounce of sweat earned in the screenplay. This is the sort of uninspired adaptation of previous material that screenwriting teachers need to use as a bad example. This movie left me stunned, my mind pepper sprayed, the overall effect most likened to absorbing a cannonball of bad straight to the belly. 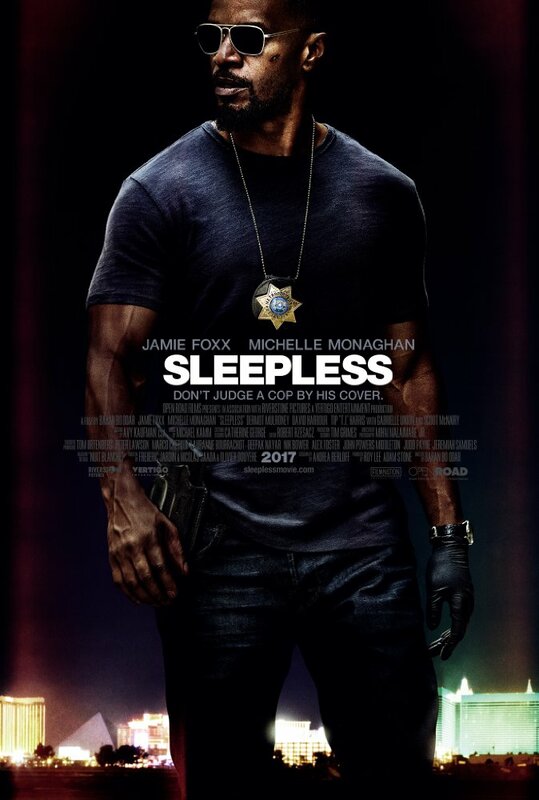 Sleepless is so awful that it actually hurts to watch, and for a reason you likely don’t expect. Director Baran bo Odar is a relatively new filmmaker, yet he’s already made one stellar film with 2010’s German affair The Silence. I highly encourage you to check it out if you can watch it. As such, we know Odar has talent, and that this cast should be above steeping themselves in the sort of drama destined for a mid-day TNT weekend marathon, so who’s to blame? Fingers can’t be definitively pointed in this case, because as so many countryside takes on former films tend to be, Sleepless mashes an American proclivity for violence with material and copied shot choices that are so uniquely foreign. The interpretation makes as much sense as a desperate college student using Google translation for an overdue assignment. Odar’s film is missing a required sense of endowed and refined worldliness so necessary to drive a movie as bound to location as this heavy slag. What starts as an obviously ultra low-budget arrow meant to hit somewhere between the lines of John Wick’s personality, The Town’s snakey plot, and Smokin’ Aces’ hyper-sensitive atmosphere, Sleepless wakes up mid dream and starts wandering around the halls of better pictures. Then it finally gives up, restless yet tired, shooting a laughable third act at us with the force of a mascot aiming a tee-shirt launcher point-blank at our faces. Odar is a better director than this film indicates, and the heralded cast need to more carefully pick their projects than spend time chewing on such fatty pieces of Wednesday night special steak found at the local run down restaurant. Sleepless, a pig sty of a story hampered by mounds of dirty laundry, is as natural an Ambien as you’ll find at the cinema in 2017.